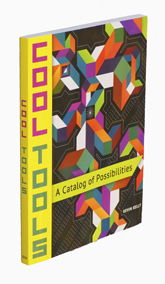 Kevin Kelly (co-founder of Wired, “Cool Tools: A Catalog of Possibilities”) joins the show. We discuss what exactly a cool tool is and how it can be beneficial to everyday life. We also examine Kevin’s background with technology and what the future may hold in store. You can purchase Cool Tools to learn more. More information about Kevin available on his website. We may have a lot to learn from Amish people. Kevin explains the 1,000 True Fans theory in more detail. True Films is a great resource for cinephiles.